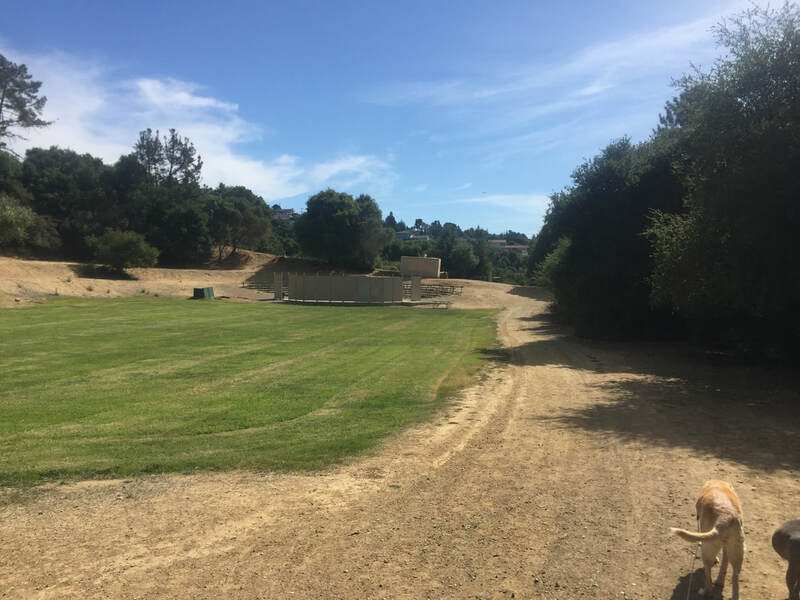 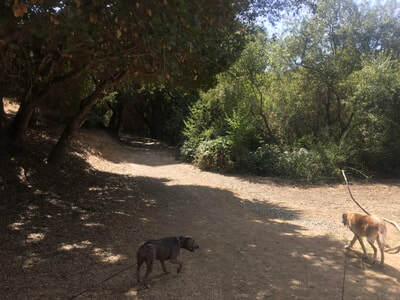 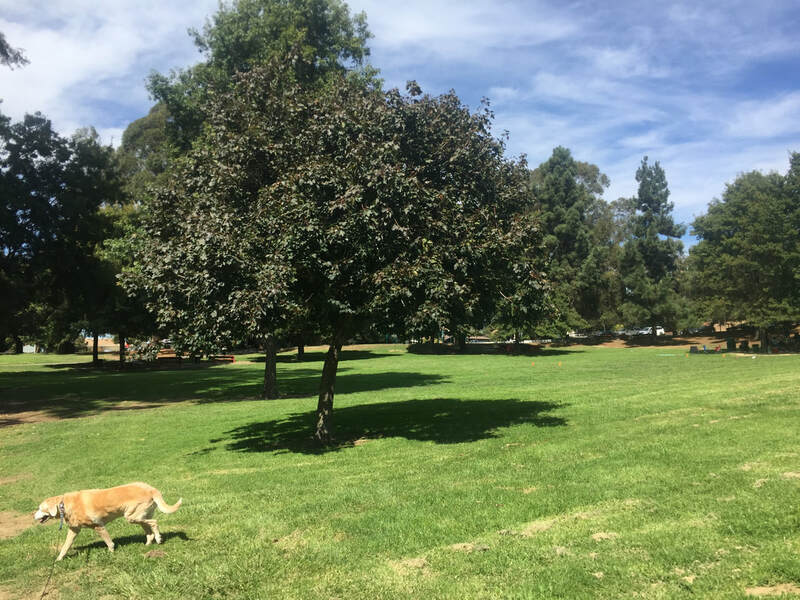 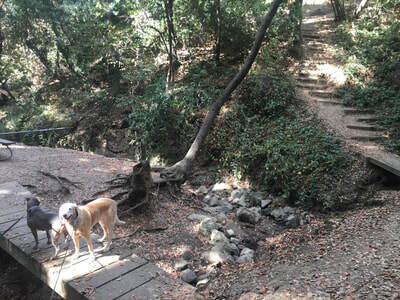 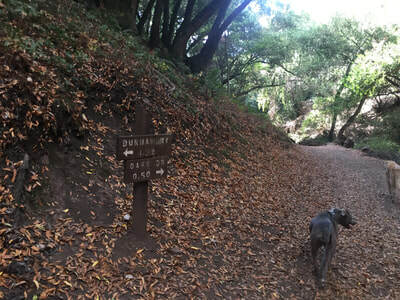 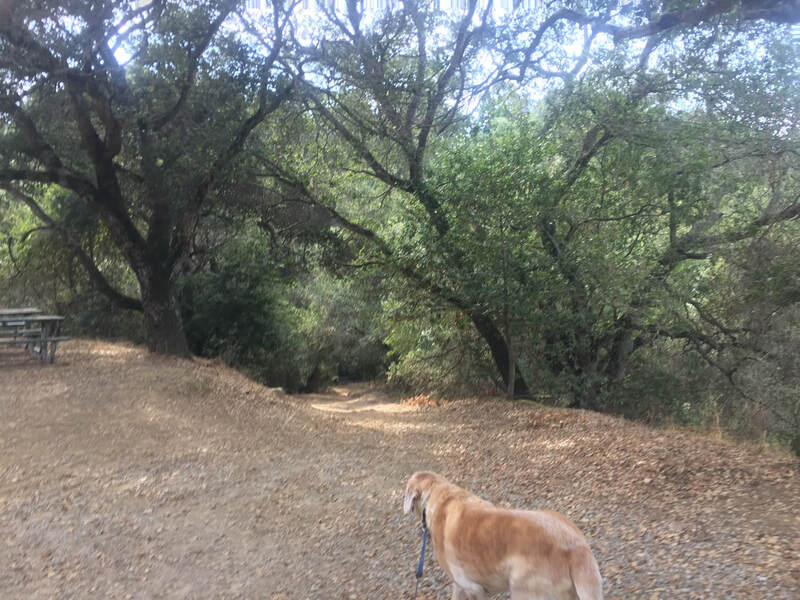 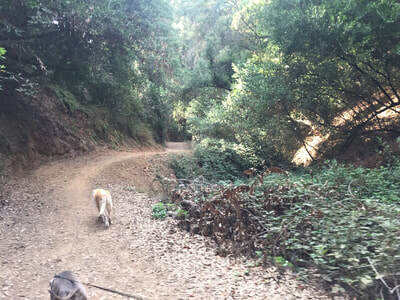 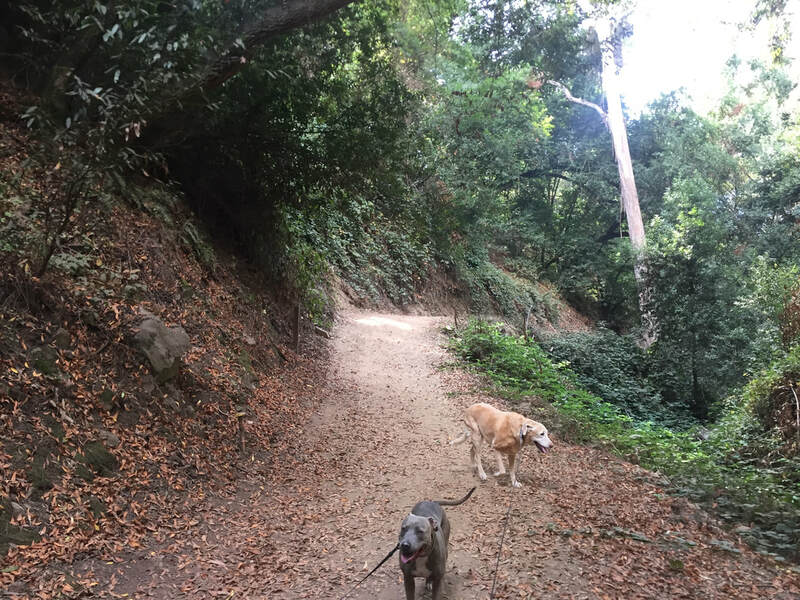 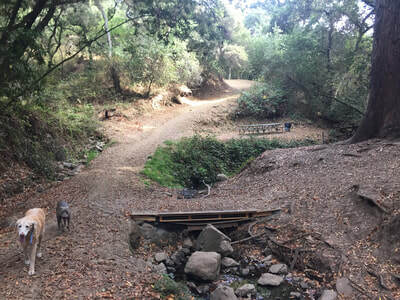 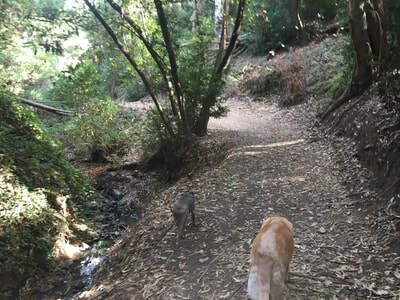 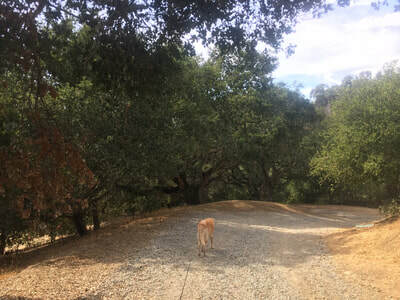 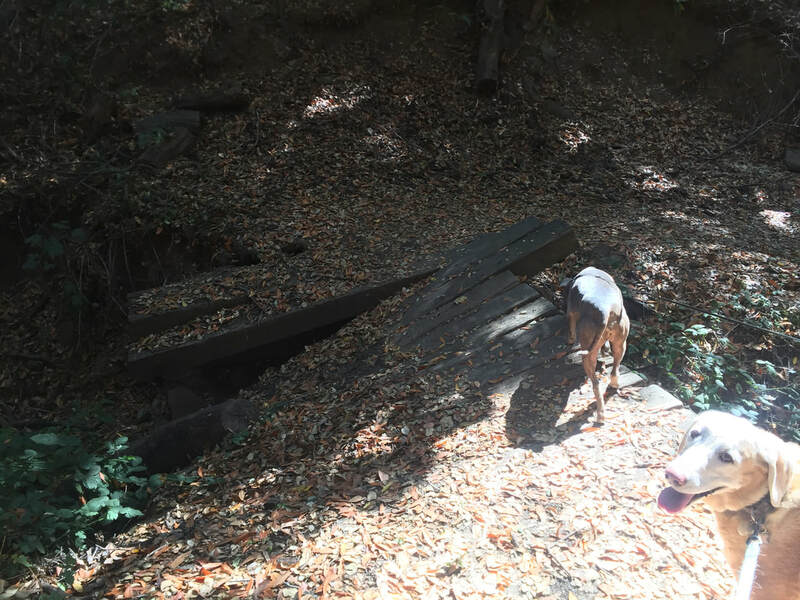 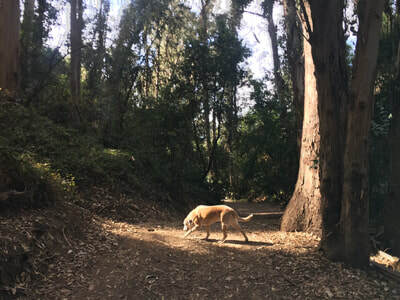 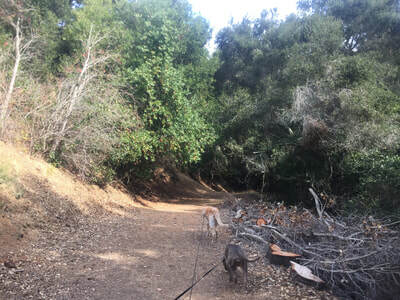 Description: This is a beautiful park with a couple miles of hiking trails, which snake down into the canyon and along the creek. 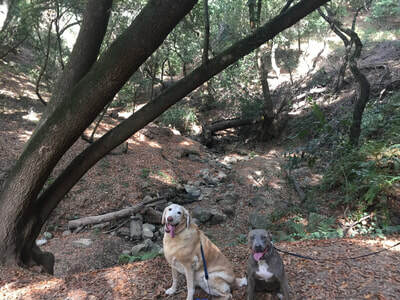 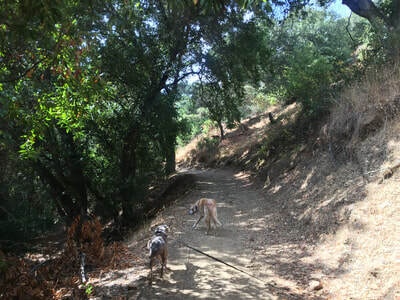 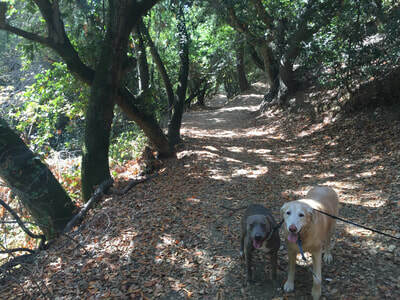 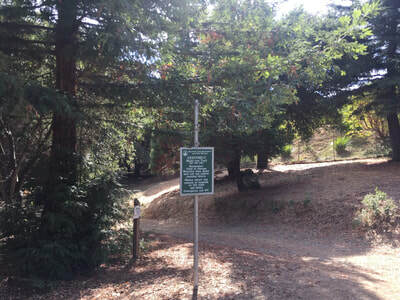 Many of the trails are shaded by large oak and eucalyptus trees. 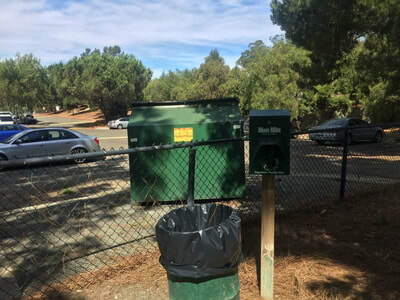 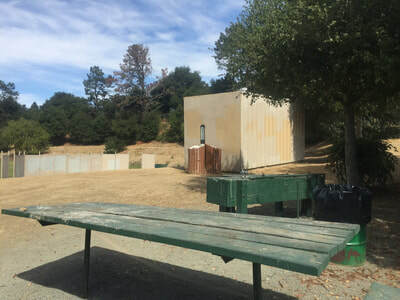 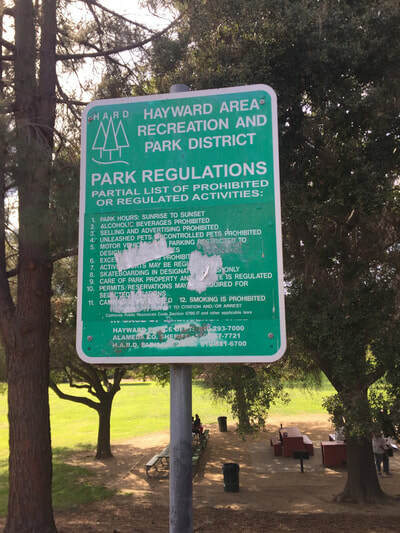 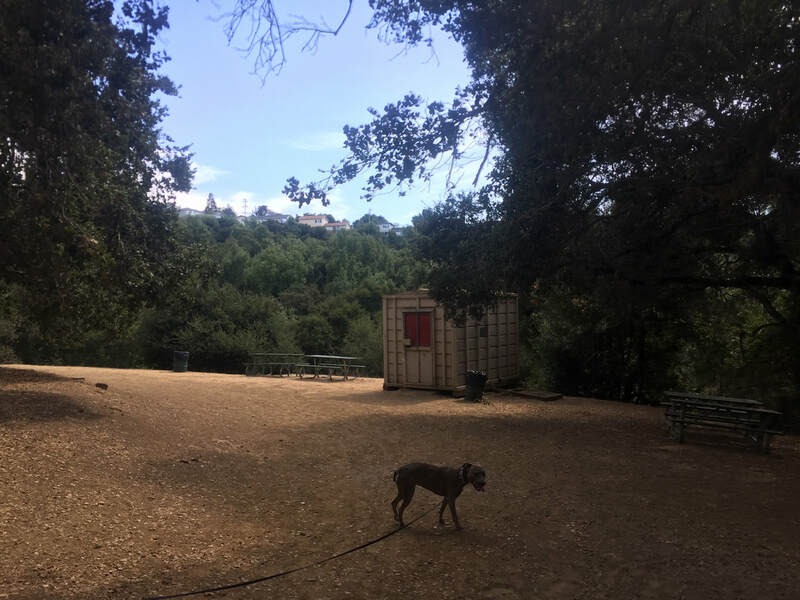 During the summer, this area is used as a camp for kids, so there are plenty of benches, water fountains and trash cans along the trail. 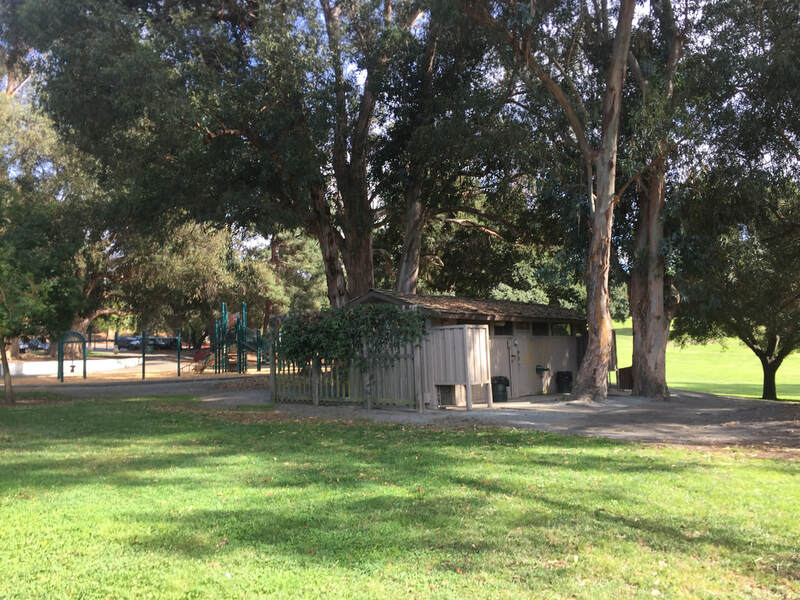 East Avenue Park has bbqs, a basketball court, a playground and even an amphitheater. Park in the parking lot and take the trail at the end of the lot up a short hill, or you can cross the grass for other entrance points. Once you hike down into the canyon there are several bridges crossing the creek. 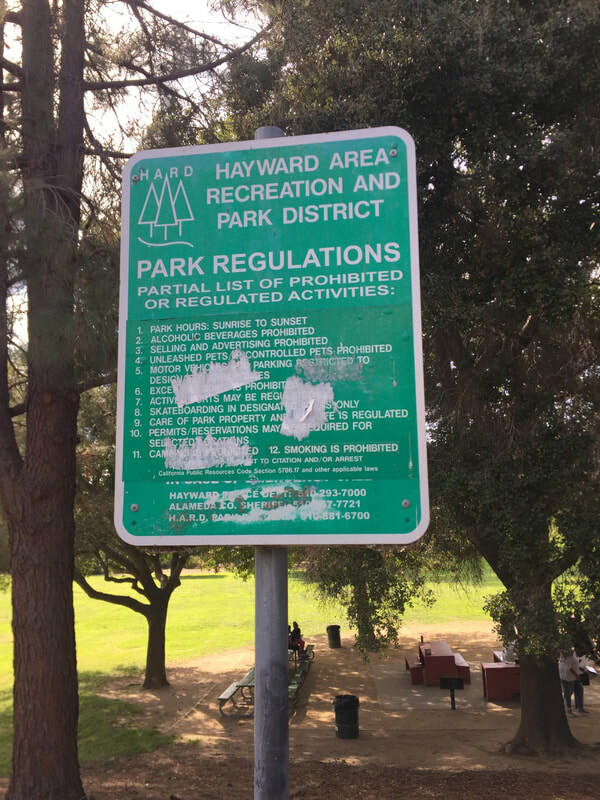 One is damaged, so be careful, but it’s still accessible. There are multiple interconnecting trails throughout the park, which will eventually take you all the down near the Hayward Plunge. This park has restrooms, water fountains and trash cans. 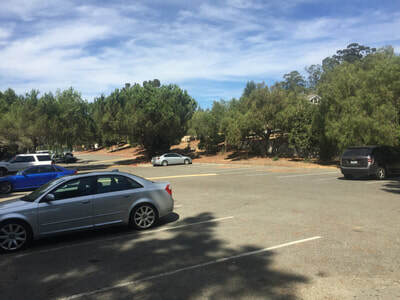 Park at the East Avenue Park parking lot. We took East Avenue Trail down into the canyon, and unfortunately the connecting trails were not well labeled. 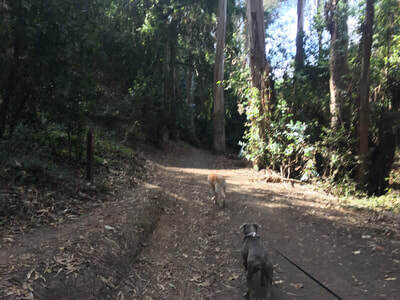 I failed to track the hike down, which was had slightly less incline, but we took the steep, short cut trails back for a good workout.